Puzzles can be great fun and entertainment for children of all ages. The many colors, shapes, and sizes encourage children to assemble the pieces so they can see the completed picture. Puzzles are also an important educational tool for young children as they provide many skills and mind learning benefits and opportunities. 1. Develop eye and hand coordination. In order to solve puzzles children use trial and error. This requires much concentration and good coordination of eye and hand. 2. Problem solving skills. When putting puzzles together children must figure out the correct way to put all of the pieces in the right places. Several aspects have to be considered such as the shape of the pieces and the open spaces in the puzzle as well as the color of the pieces and how they fit together. 3. Motor skills. Puzzles can help children develop motor skills through the the process of manipulating the pieces and placing them together with the rest of the puzzle pieces. 4. Vocabulary. One of the most significant advantages to children solving puzzles is the development of vocabulary skills. Whenever children complete a puzzle it introduces them to new words. 5. Cognitive skills. 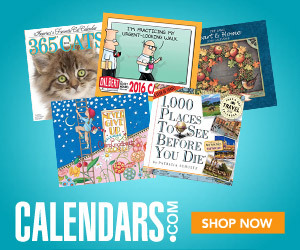 Puzzles are available in a wide variety of themes such as letter, numbers, shapes, colors, food, people, animals, etc. This allows for an increase in your child's visual spacial awareness and to develop more understanding of these themes. 6. Shape recognition. The first puzzles your child will have will most likely be those that have simple basic shapes including circles, square, and triangles. As they get older more shapes are introduced that more complex. 7. Patience. Puzzles require time and effort. Your child will have to slowly work through the puzzle placing one piece at a time until it is completed. 8. Memory. 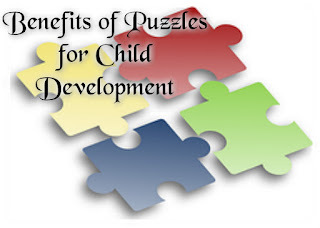 Jigsaw puzzles as well as other types of puzzles may help enhance a child's memory. When working on puzzles children will need to keep in mind the color, size, and shape of numerous pieces. 9. Self confidence. The accomplishment of completing puzzles will make your children feel good about themselves and encourage them to take on more challenges. 10. Social skills. Puzzles are an excellent tool to enhance and encourage cooperation among children. As they work together they can discuss where a piece belongs, learn to take turns, and share in the enjoyment of competing the puzzle. Have you introduced your children to puzzles? Do they enjoy putting them together?